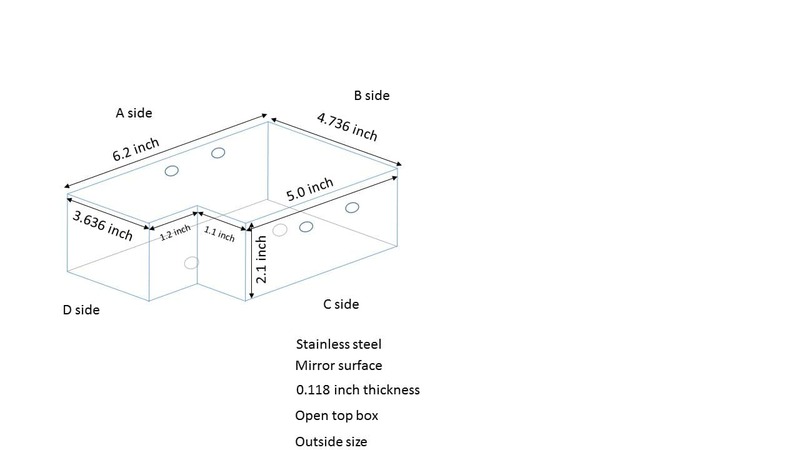 Customer Project: Fabricate a custom cut water tight box. Customers can always contact us to get a free quote for their special project. In this case we received a powerpoint sketch of a special box. 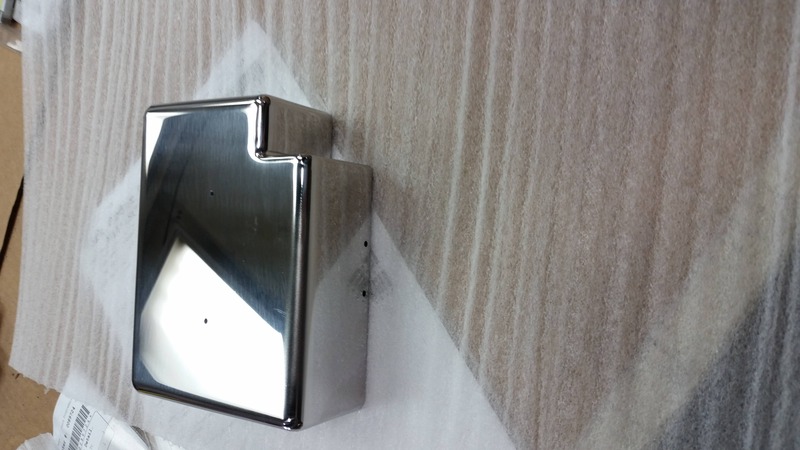 The box had to be water tight and made out of stainless steel in a mirror finish. After we checked if we where able to fabricate this irregular box, which needed to be water tight, MetalsCut4U generated an offer. The customer agreed, and so we started to work. 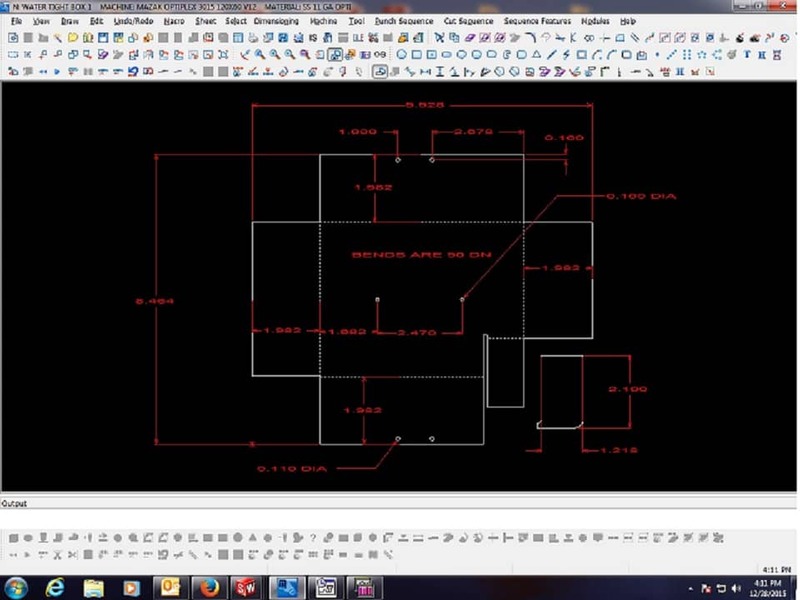 The first step was to generate a CAD file which could program the laser cutting machine to cut the irregular box, out of stainless steel sheet metal. 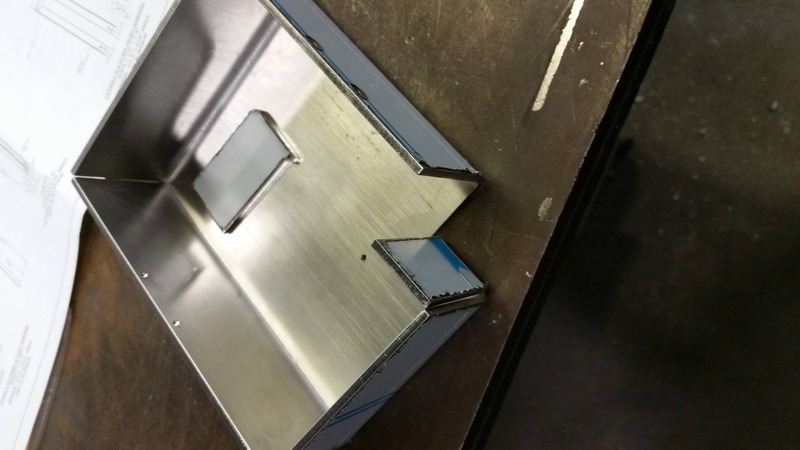 After cutting the irregular box to the size the customer specified, we had to bend and weld the sheet metal, to get the request form. Here is how it look, just before we welded the last piece onto the box. You can order directly via our 4 step selection and ordering process custom cut shapes and forms. 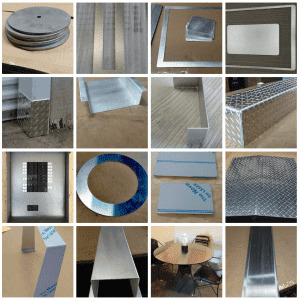 We bent and cut sheet metal and fabricate them for you. We offer 14 different shapes and forms. Your project needs even more individual customization? Contact us, we will be happy to evaluate your idea, and give you a free quote.